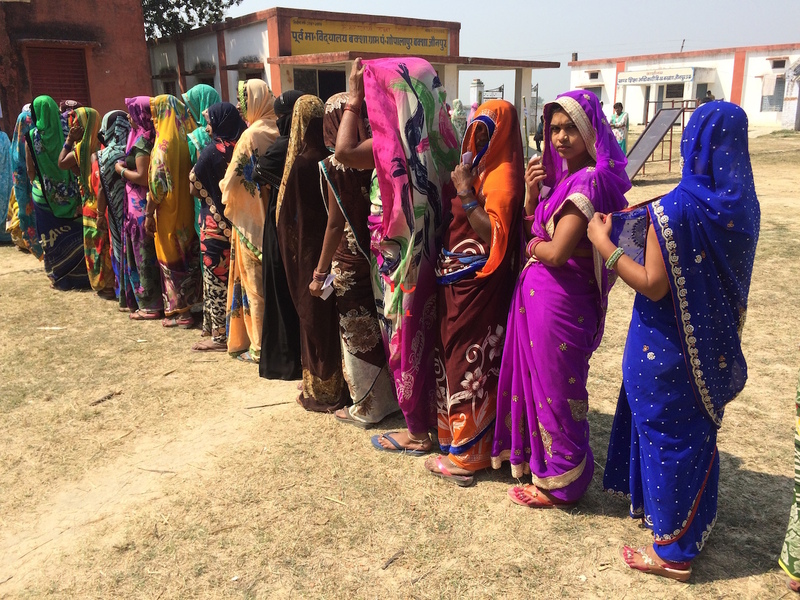 Our final dispatch in the election series from Baksha village in Jaunpur. By noon on Saturday, it was clear the Bharatiya Janata Party had wrested a historic win in Uttar Pradesh. Instead of celebrating, Vikas Chaurasia, the party’s coordinator in Baksha village, turned off the TV, and stepped out to feed the buffaloes. At 4 pm, he was inside his home, taking an unusual late afternoon nap. The 20-year-old felt crushed. The BJP’s candidate from Malhani, the constituency in which Baksha falls, had not only lost, he had finished fourth. “Mazaa kirkara ho gaya,” said Chaurasia. Our happiness has been ruined. 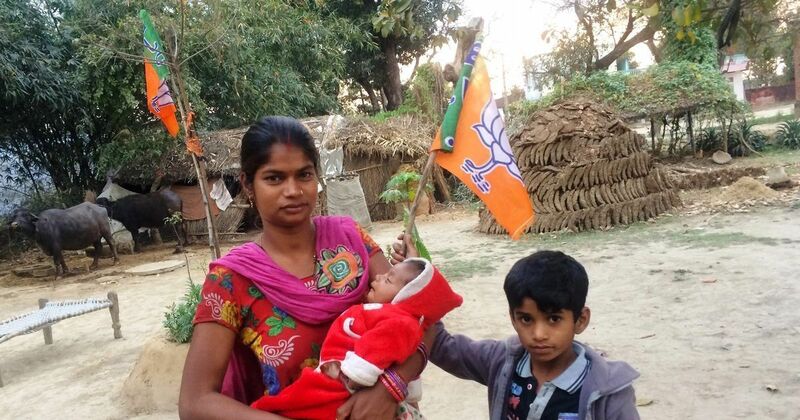 Of the nine seats in Jaunpur district, the BJP had won four and its ally Apna Dal had won one. In the remaining four constituencies, the party came second in three and its ally Suheldev Bhartiya Samaj Party came second in one. Nowhere was the BJP’s defeat as resounding as Malhani. The BJP workers believed that Prime Minister Narendra Modi’s rally had galvanised all Hindus, Madhya Pradesh Chief Minister Shivraj Chouhan, who belonged to the Other Backward Classes, had helped consolidate the non-Yadav OBC vote, and Delhi state president, popular Bhojpuri film actor, Manoj Tiwari had cemented the upper caste vote. According to many political commentators, apart from Modi’s popularity, this combination of upper caste and non-Yadav OBC votes was one of the main factors that had propelled the BJP to an unprecedented victory in the state. 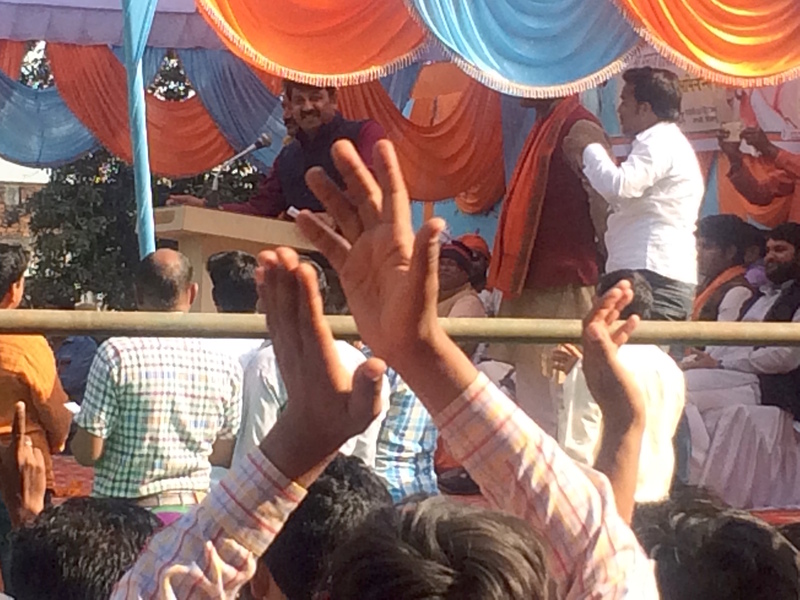 Manoj Tiwari addressing the crowds in Naupedwa, less than 10 kms from Baksha. But this combination did not work in Malhani. The party’s candidate Satish Singh got just 38,966 votes, only half of the 69,391 votes bagged by the winning candidate, Parasnath Yadav of the Samajwadi Party. With 48,141 votes, Dhananjay Singh of the NISHAD party came second, and Vivek Yadav of the Bahujan Samaj Party was third by 46,011 votes. Even if all the remaining votes – 5,196 votes – had gone to the BJP candidate, he would have still finished fourth. So what bombed the BJP’s chances in Malhani? For one, Malhani is a Yadav-dominated constituency. While there is no official caste data, the workers of the Samajwadi Party estimated that as many as 1.10 lakh of the 3.75 lakh voters here are Yadavs, while the BJP pegged the figure at 86,000. Both the Samajwadi Party and the Bahujan Samaj Party had fielded Yadav candidates. The Bahujan Samaj Party was also banking on its traditional Dalit vote base. The BJP workers were focusing their energies on the rest. They were wooing the upper castes – Brahmins and Thakurs – and the non-Yadav OBCs – Mauryas, Prajapatis, Pals and others. But what appears to have come in their way is the candidature of Dhananjay Singh, a charismatic bahubali leader who stood from the newly formed NISHAD party. Like the BJP’s Satish Singh, Dhananjay Singh belongs to the Thakur community. All along, the BJP was worried that he would eat into their upper caste vote share. Chaurasia believes that’s exactly what happened. “Dhananjay ne vote kat diya,” he said. Dhananjay cut our votes. But is that what happened? 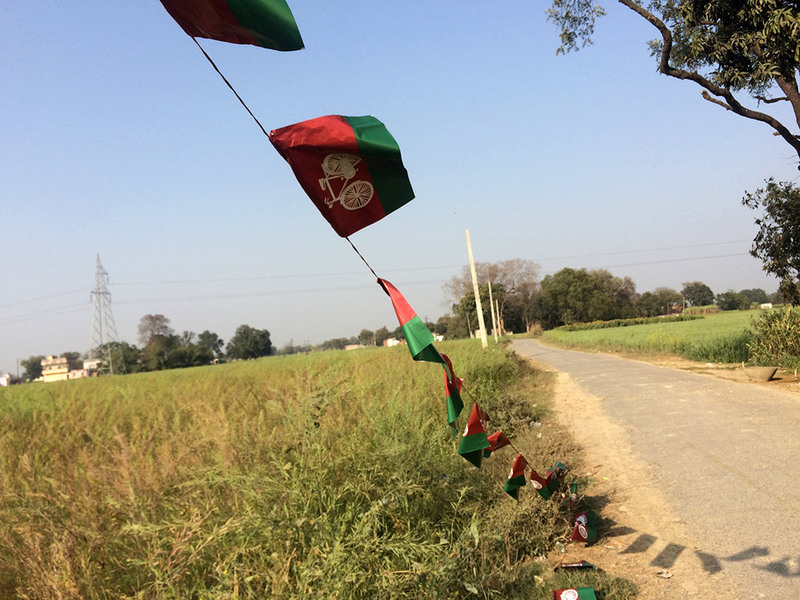 A Samajwadi Party banner in Baksha village. There is no conclusive way of knowing how each of the caste groups and communities voted in Baksha. But conversations on voting day provide some clues. Emerging from the polling booth, a Muslim woman said: “Tharr tharr kaanp rahe hai, ghar se bahar nikalte nahi hai.” I am shivering because I don’t usually step out of home. She said she had voted for Dhananjay Singh “because my husband asked me to”. But many Muslims in Baksha said they had cast their votes in favour of the Samajwadi Party. 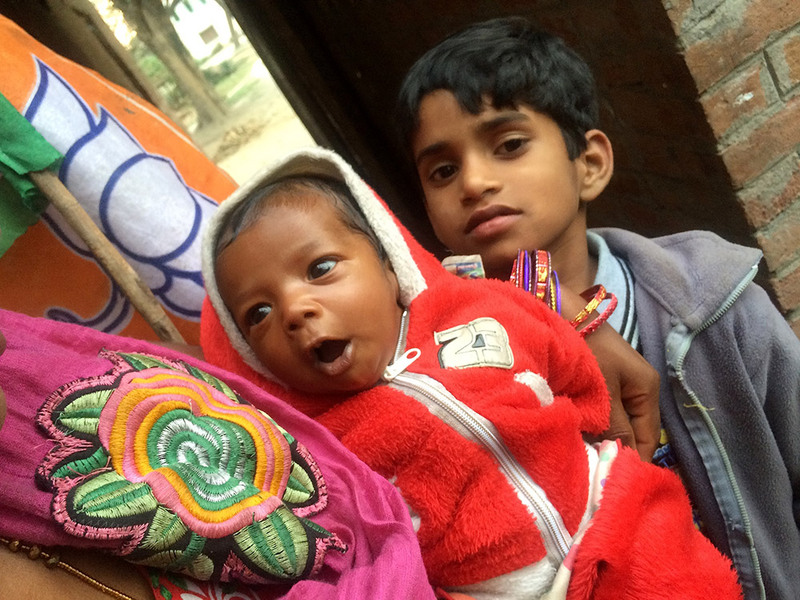 “It was a decision taken by the biradaari [community],” said a tailor, who was otherwise supportive of Dhananjay Singh. Even though the Bahujan Samaj Party candidate belonged to the Yadav community, most Yadavs said they found it hard to vote for the party, which they identified with Dalits. They emphasised that they were disappointed with Parasnath Yadav, but said they were voting for the Samajwadi Party because of its leader Akhilesh Yadav. Some spoke well of Narendra Modi, but drew a distinction between Delhi and Lucknow. The Chamars claimed they had voted for haathi or elephant. “Apne log to jayenge apne par hi,” said a farm worker. We will vote for one of ours. “Kissi aur ko denge bhi to koi vishwaas nahi karega.” If we vote for another party or candidate, no one will believe us. Two communities in the village that appear to have solidly backed the BJP were the Prajapatis and the Mauryas. Both were OBCs and were resentful of the Yadavs cornering benefits. In the weeks leading to the election, many of them had spoken favourably of the BJP. “Ek baar inko bhi dekha jaayein,” said a Prajapati woman, as she walked back home from the polling booth. Let’s see them once. Many women put in some effort to dress up to go to the polling booth. They said it was rare for them to appear in public places. How well placed are journalists to predict the outcome of an election? My experience of reporting from Baksha village over two months, with forays into the rest of the constituency in the final two weeks, allowed me to discern the broad preferences of various communities. Conversations on voting day with people I had come to know well helped me estimate the final outcome in Malhani constituency. But making a prediction is a sign of conceit – it involves two assumptions. One, that voters are uncomplicated subjects who reveal their minds to journalists, and two, that a few voters can accurately speak for the rest. While voting decisions continue to be shaped by identity-based communities, the class differences within these communities are no longer insignificant, and local specificities cannot be ignored. If it is hard to predict the outcome of one constituency, is it fair to expect journalists to predict not only which party is winning an entire state but even the magnitude of its victory? Most journalists covering the Uttar Pradesh election reported that BJP had the clear edge. But as the results poured in, they were castigated for not picking up the scale of its sweep. As Malhani shows, the overwhelming popularity of the prime minister is not enough to win every seat for the BJP. How castes and communities respond to candidates is best understood in constituencies. The mustard stalks that are waiting to be threshed. The fanfare around the election results left Baksha untouched. Saturday was just another day in the village. 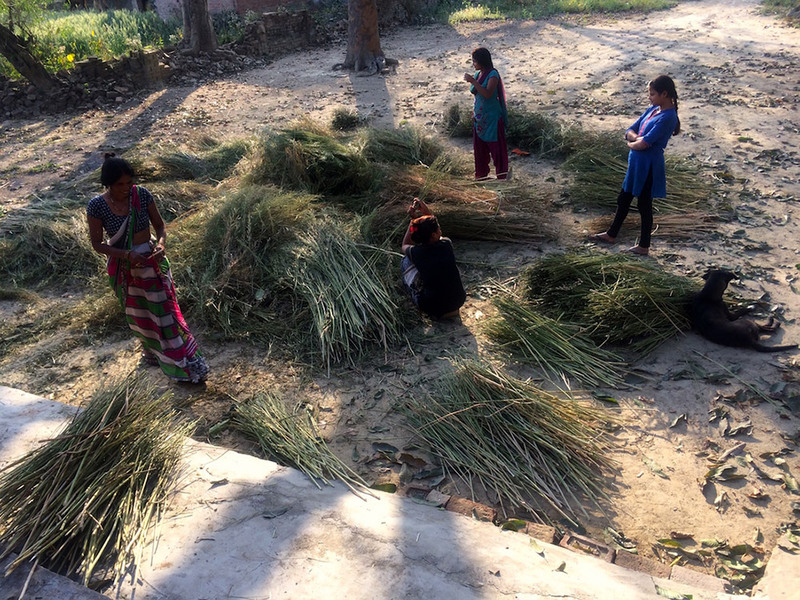 Most people were busy threshing the harvested stalks of mustard. In the afternoon, a group of children briefly burst into a round of chating “Har har Modi”. But there was mostly silence in the shade of mango blossoms. The BJP workers could not celebrate because the party had lost the seat. The Samajwadi workers were happy to win the seat, but disappointed to have lost the state. The Dalit workers of the Bahujan Samaj Party had nothing to hold onto. In the evening, a few men from the Chamar community sat looking despondent on the wall along the nahar, the water canal. The flag of the Bahujan Samaj Party fluttered on the rooftops in the distance. “Kissi ka koi bharosa nahi kaun kahan gaya,” said Raghunath. There is no saying who went where. “Ek jut ho kar diye hote to yeh haal nahi hota.” If the people had stayed united, this would not have happened. Dalit men ruminate over the results. Ram Lal complained about faulty electronic voting machines. A man cycling past the group heard the complaints and slowed down. Now in his early thirties, also a Dalit from the Chamar caste, Santosh Kumar Gautam had spent several years working in Delhi before he had returned to the village. “When the BSP won elections, you didn’t complain that the machines don’t work,” he said. “Jab aap haar gaye, apni har ko maan lijeye, ki bhai main haar gaya.” It is better to admit defeat. Santosh Kumar cut him short: “Paanch saal dur ki baat, dhai saal mein Lok Sabha mein uthaa kar ke phenk denge, jaa bagle hoiye.” Five years is a long way off. In two and a half years, the people will throw them on the side. They are definitely more hopeful of Modi’s ability to deliver development – and perhaps the communal poison in the state runs deeper than what reportage has managed to capture. 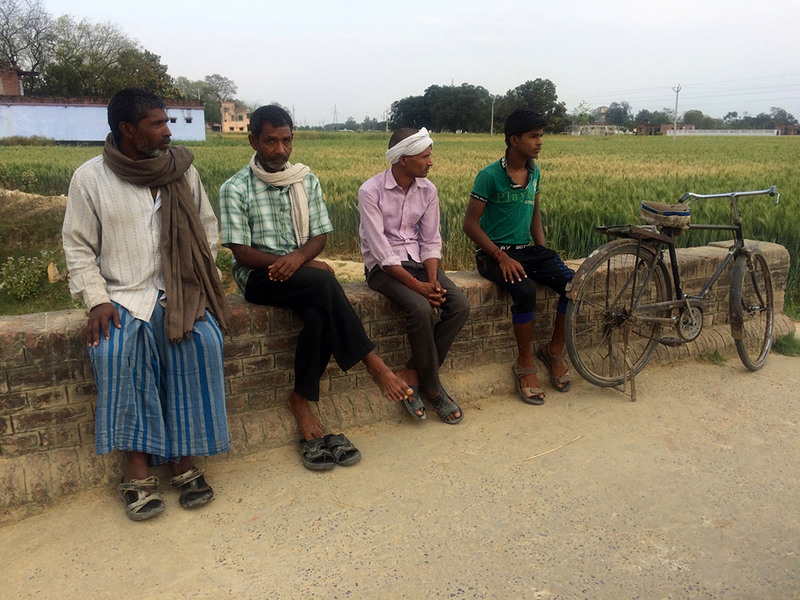 In the two months leading up to the Uttar Pradesh elections, Scroll.in’s “A Village Votes” series brought readers glimpses of how the residents of Baksha, a village of 2,500 people in the eastern part of the state, made up their minds about whom to support. The entire series can be read here. Amrish was born in the run-up to the election. His mother Dimple Chaurasia had received a laptop under the Samajawadi Party government. 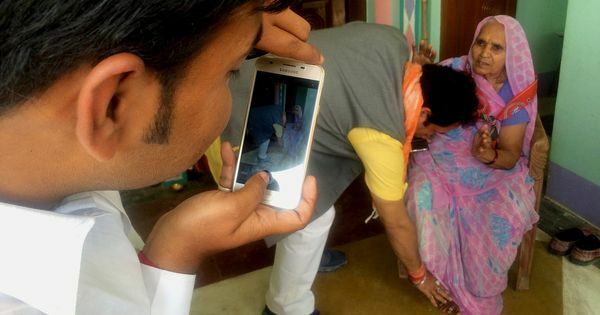 Her family voted for the BJP, which has promised 1 GB data free annually with the laptop.